Please Note: If you have multiple citations, you will need to look up each citation and pay each separately. Each citation will have its own transaction. Disclaimer: Please note that this is not real time data, please allow up to seven business days for tickets to be processed. 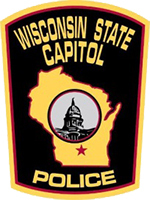 Make Payable to the ”WISCONSIN STATE CAPITOL POLICE"